Young Kenyans are harnessing their country’s growing tech prowess to go into business for themselves. For example, Jamila Abbas and Susan Oguya, created a mobile application called M-Farm. The application allows Kenyan farmers to access real time market information, buy farm inputs from manufacturers and find buyers for their produce, all through SMS. Lorna Rutto started EcoPost, a company that turns plastic waste into durable fencing posts, an environmentally friendly alternative to timber. At Strathmore Univeristy, Kenya’s leading institution for business and accounting, many students are interested in pursuing traditional career tracks like joining the ranks of major financial firms, but quite a few are just as eager to start their own enterprises like Jamila, Susan and Lorna. On a recent afternoon on campus, I sat down with Asha Mweru to discuss Chochote, an e-commerce platform that she launched with her classmates Ivy Wairimu and Victor Karanja. Chochote, which is the Swahili word for “anything,” started as a simple classroom assignment. The team of 4th year Strathmore students sought to connect buyers and sellers on a platform based on excellent customer service, discounted prices and home delivery. Currently, it targets consumers between the ages of 18 and 48. Chochote’s tagline is “not just anything.” It’s transitioning from offering a wide range of products like electronics, cosmetics and clothing to a narrower, more particular supply of unique crafts, jewelry and fashion items, similar to Etsy. Ivy explained that, “Kenyans are very specific [about] what they are buying. So, we [investigated and] found out what the specifics are,” then decided to re-brand. The project has received support from the IDEA Foundation and ilab Africa’s business incubation center at Strathmore. Currently, they get between 600 and 900 hits a day and hope to reach the likes of popular Kenyan e-commerce sites like Uzanunua and Online Shopping. Their foreseeable goals include increasing their suppliers, expanding to reach consumers across the region and establishing a Chochote mobile application. After all, Kenyans are just beginning to warm up to the idea of online shopping. “Since everything is going virtual, why should Kenya only shop at Amazon? Why shouldn’t we have our own thing here? Kenyans between the age of 18 and 48 have accepted that the internet is here, it’s here and sure to be used. They’re accepting it, so let’s grow with them,” said Asha. Perhaps, the team’s experience will have them avoiding 9-5′s forever. They’re part of a new generation of Africans who are inspired by the likes of Muhamed Yunus, public intellectual Dambisa Moyo and the founder and CEO of Open Quest Media, June Arunga, among others. Both women were chosen by Forbes Magazine to be among the 20 Youngest and Most Powerful Women in Africa. In addition to the rise of visible role models that they can relate to on the global stage, their immediate environment is more conducive to innovation than ever. In Kenya, sky’s the limit. Katrina is a first generation Armenian-American, born and raised in Queens, New York. She attributes her affinity for travel, and learning about different cultures to growing up immersed in a rich cultural tradition at home, and the diverse sites and sounds of New York City right outside of it. She will be serving in Nairobi, Kenya with Strathmore University and the Kiva Zip Team. Prior to joining the Kiva Fellows Program, Katrina was an educator. 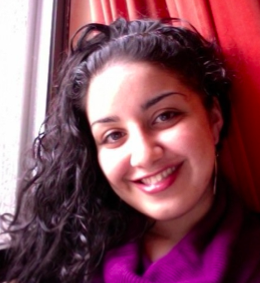 An alumnus of Teach for America, she taught elementary level English Language Learners in the South Bronx, and middle school mathematics at KIPP AMP Academy in Brooklyn. Through teaching, Katrina sought to give back to the city that raised her, empowering children with knowledge and tools to build fulfilling and self-sufficient lives. Katrina is interested in microfinance for the same reasons. She seeks to understand poverty in a global context, and explore the roles of different tools in alleviating it. She is ecstatic to begin this journey, through which she'll better understand and contribute to cutting edge initiatives in sustainable development.